A seat and a good book. This month’s challenge in Jude’s “bench series” is for a bench with someone or something sitting on it. 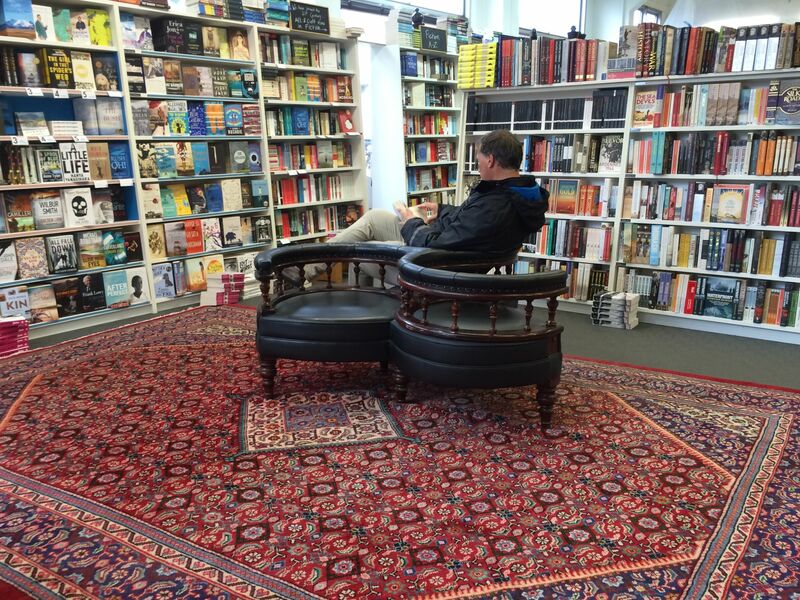 I love this cosy seat in our local bookshop. Thanks Jude. I thought it was unusual. Quite comfortable too.